So it’s been delightful exploring the area of our current house sit. With a dog in tow. It’s our second time here, living in a large beautiful house in Melbourne’s South East. There’s a great park for dog walks five minutes away and the train station is another five minutes. From there, it’s about half an hour into the city. But we’ve found ourselves spending more time than not in our new ‘hood (my long commute by bike to Heidelberg aside). 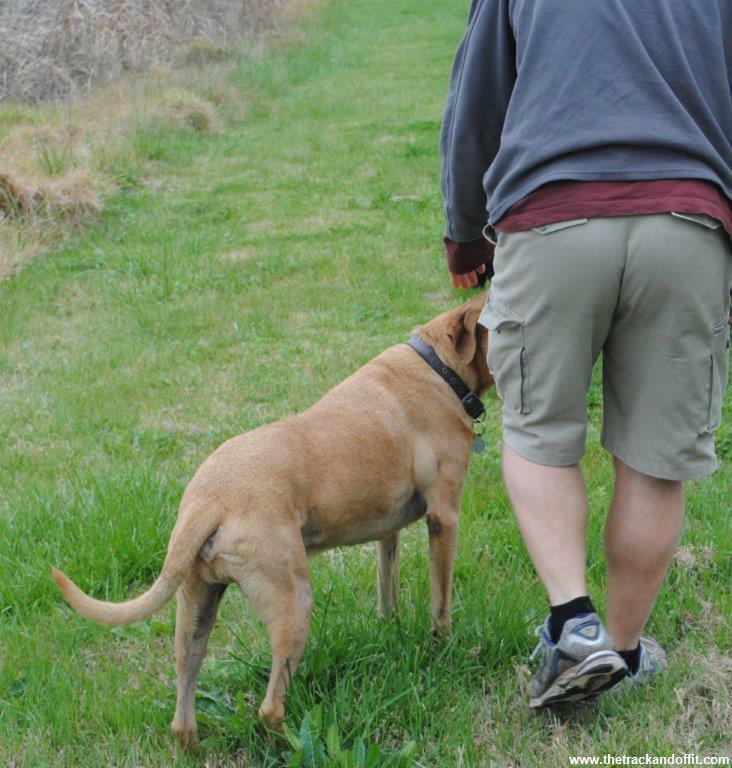 While I’m temping at various hospitals, Barry takes Eddie, ‘our’ dog, for walks in the park and explores the different pathways and creek areas close by (Eddie’s an old dog so we don’t take him out for hours of rambling). 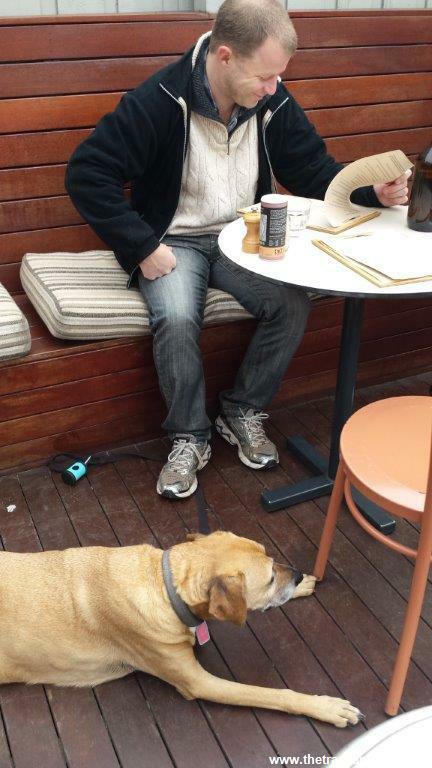 On the weekends we’re regular breakfast visitors to an excellent dog-friendly cafe, The Resident, handily on the Anniversary trail, perfect for bikes and walkers. On the way home, we pop into the ethical and sustainable butcher, the bakery, the deli and the fruit and veg shop. I’m starting to feel like a local. Close to the bike tracks, we’re off to Heidelberg, my sister’s and even into the city on pleasant, largely traffic free, paths. We might just be here long enough to sample the Pho place up the road. 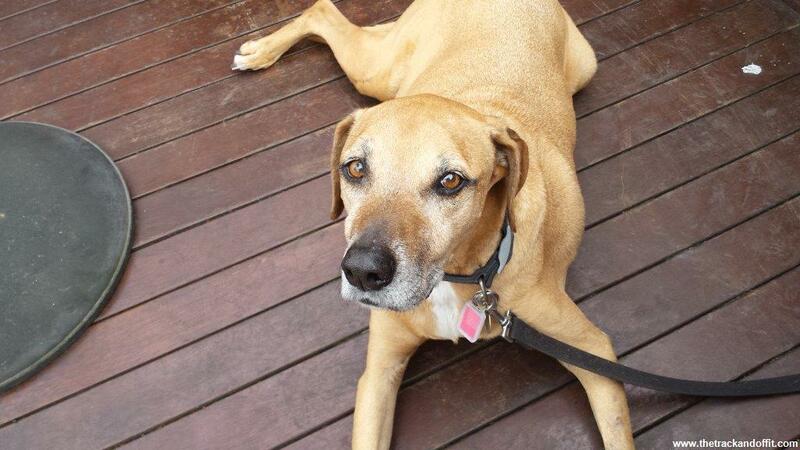 This entry was posted in House Sitting and tagged Australia by Simone. Bookmark the permalink.